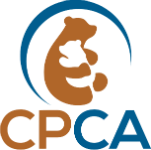 The Child Abuse Prevention Center : Programs & Services : For Parents : Sign Up Today For Classes! To register for the Parent Empowerment Program Course please submit the form below. Where and how long ago?